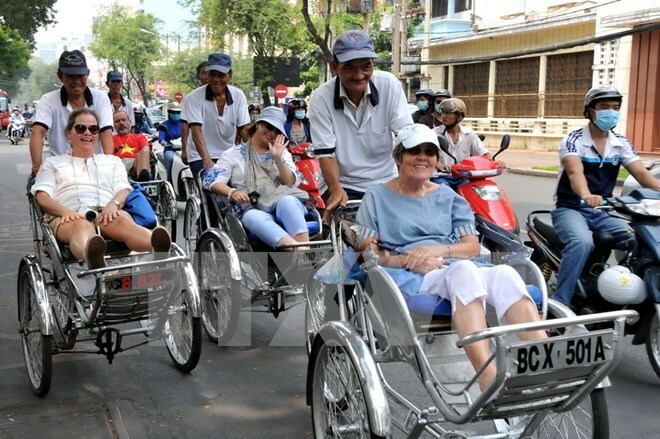 Hanoi (VNA) – The tourism sector will do its utmost to create a breakthrough development and fix shortcomings towards a healthy tourism environment, said General Director of the Vietnam National Tourism Administration (VNAT) Nguyen Van Tuan. At a meeting to mark the 56 th anniversary of the sector in Hanoi on July 9, Tuan said his agency is building programmes and projects to attract more investment in developing tourism products, accommodations and services. It will coordinate with relevant ministries, agencies and localities in controlling the quality of services, addressing issues of public concern and stepping up promotion campaigns. He mentioned recent cases relating Chinese tourists in some key tourist sites such as Nha Trang and Da Nang which had great impact on the image of Vietnam in the eyes of international tourists, affirming the VNAT will strictly punish any violations in the field. In the first half this year, Vietnam welcomed 4.7 million international visitors, a year-on-year increase of 21.3 percent.